Michael P Wines was born in the great wide North. He moved from Flint, Michigan, at age eight to a tiny town in middle Tennessee. The first thing he remembers about the South was seeing a blue-tailed skink scurry up a grapevine, which he had never encountered up North. He decided he had moved to the jungle and has spent most of his life since exploring it. After more than two decades of living all over the Volunteer State, he found himself in Auburn, Alabama, still fascinated and freaked out by the Southern culture and ecology. Though he claims to be a Yankee at heart, he is often found covered in red dirt at a rockabilly show, folk-art festival, eating BBQ (only Memphis style, obviously), or chasing some slimy, scaly Southern creature through a sandy pine forest. 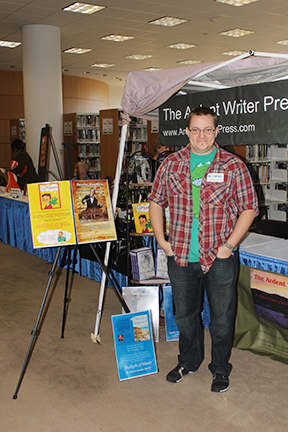 Mike is working his way through a master’s degree at Auburn University. 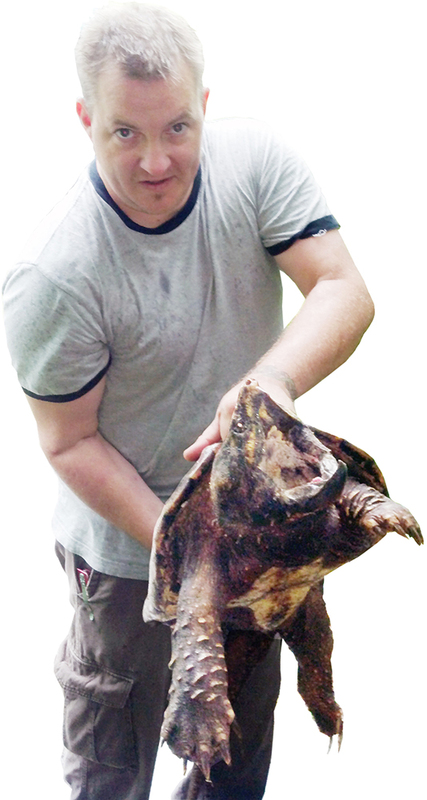 He studies rare and endangered reptiles and amphibians. He’s helped catch crocodiles in Costa Rica, pythons in Florida, alligators in Georgia, and cottonmouths in Alabama. 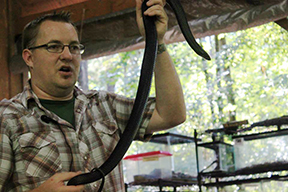 He focuses on the Red Hills salamander (the Alabama state amphibian) and the Eastern Indigo snake. 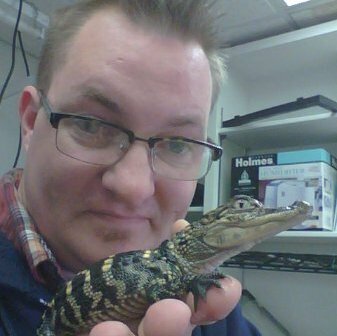 His lab mates call him The Hatchmaster for his freakish ability to incubate reptile eggs, while Mike more often refers to himself as the mascot of the herpetology lab. 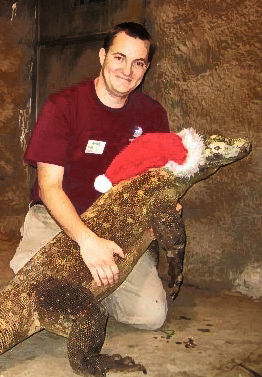 Before graduate school, he spent several years as a keeper at the Memphis Zoo, where he took care of the Komodo Dragons, venomous reptiles, spiders, giant tortoises, crocodilians, and a few fish and fuzzy critters. 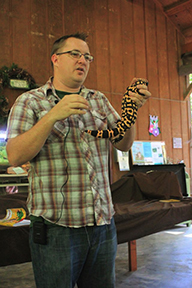 He developed a weekly stage show titled: “Living with Venomous Reptiles.” Finding the best way to educate people on wildlife was to entertain them with it, his first snake-poop joke was born. 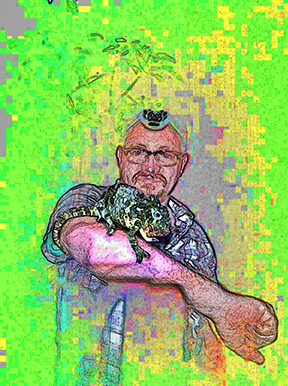 Stupid Alabama, Mike’s first book length adventure scheduled for publication in 2013, is a hilarious mixture of Mike’s love of reptiles and Southern culture. And The Ardent Writer Press is proud to publish and showcase its knee-slapping mash up of all things scaly and flatulent coated in an eco-friendly cocoon. Mike recently had his first chance to grow a crop of fans for his new book. 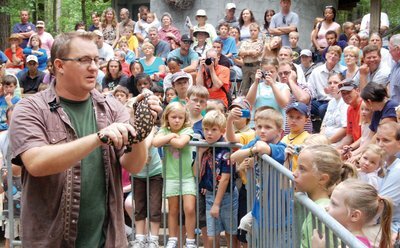 He attended the Alabama Book Festival in Montgomery on April 20th and conducted a couple of reptile shows for kids at Auburn. At both locations he had his poster of Stupid Alabama and handed out post cards with the book imprinted on the front. 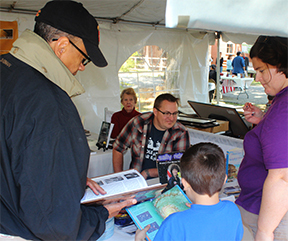 Mike Wines discusses his upcoming comedic novel, Stupid Alabama, with fans at the Alabama Book Festival in Montgomery on April 20th. Annie Laura Smith watches in background. 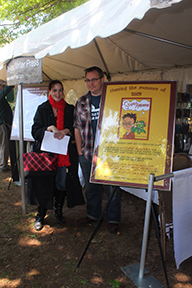 Mike Wines and a fan in front of the poster for Mike’s hilarious Stupid Alabama, a tween adventure and comedy coming out in 2013.